I visited my 88 year old grandma in hospital today, and as I left I passed the chapel. My feet had a mind of their own, and I wandered in and sat down for a moment of prayer and contemplation. 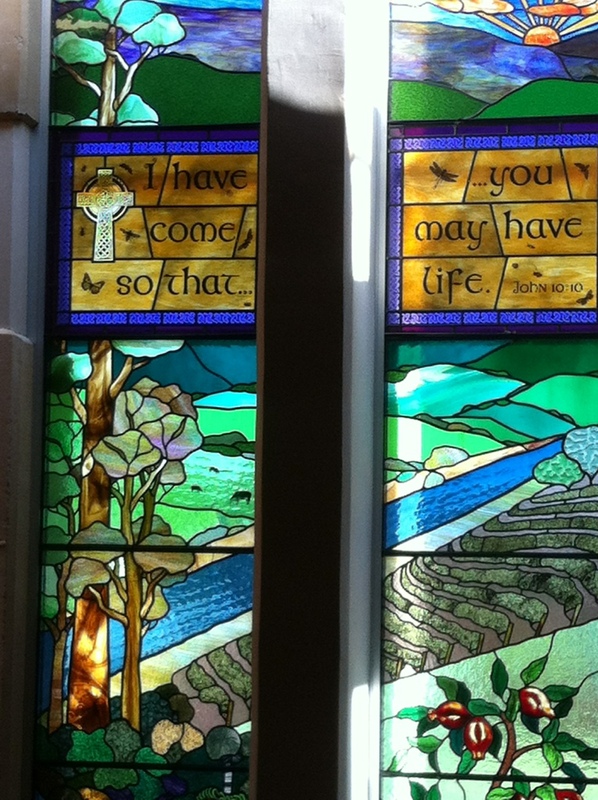 I didn’t take a photo of the other stained glass piece, which you had to look at the back of the chapel to see, but it said “and life to the fullest”. My grandma is the definition of those words. She was lamenting the fact that on Thursday she won’t be able to play piano in that very same chapel … “At my age I like to be useful”. Me, at any age, I would like to live life to the fullest like my grandma … that’s my challenge.